Plantains are now available almost anywhere in the United States. They have the appearance of being thicker, longer and bigger type of bananas. But they are not. No wonder they are called macho bananas, plátano macho, in most areas of Mexico. Although from the same family, plantains are a different ingredient. They are starchier, meatier, firmer, milder in flavor and have much thicker skin than bananas and are better treated as vegetables in a culinary sense, since they are only eaten cooked. 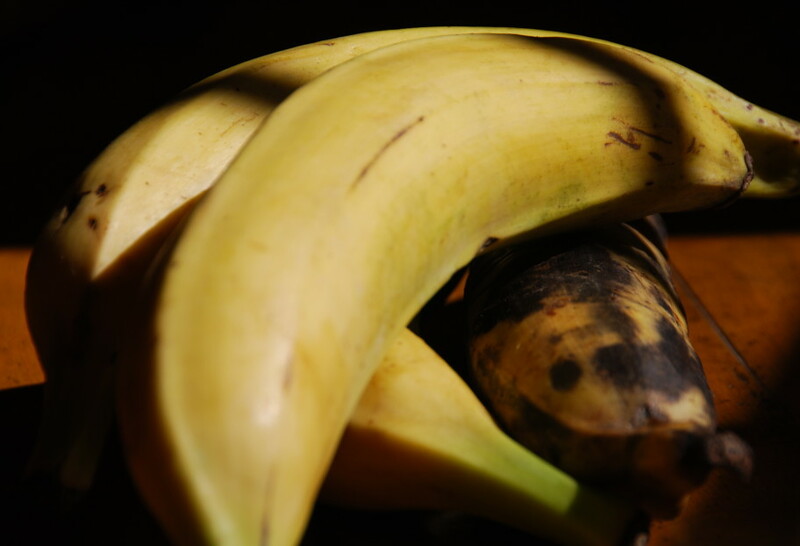 Also different from bananas, they are completely immature when their skin is green, they begin to mature when it is yellow and they are ripe and ready to use when it is almost entirely black. You also know they are ripe and ready when they feel soft and give in a little, but don’t feel mushy, to your hand. 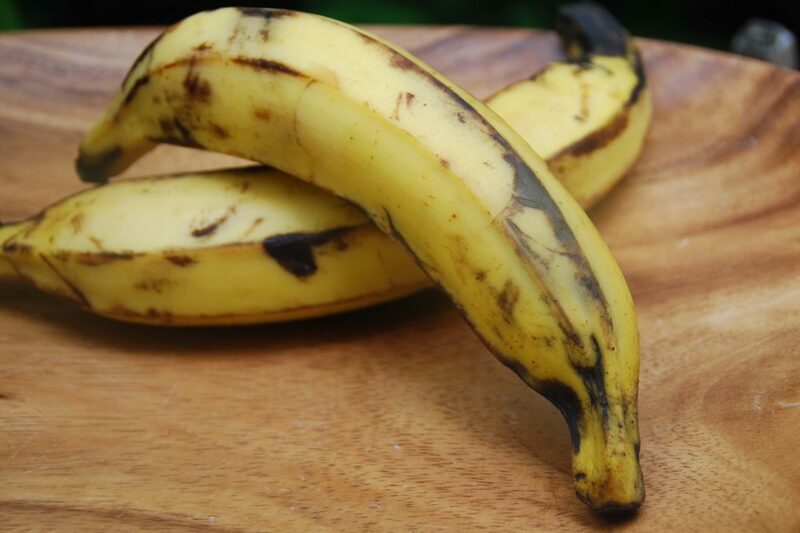 When you buy plantains, if they are green, yellow or have very few black spots on their skin let them sit and mature in a warm area of your kitchen. It will take about 3 days to go from the clean yellow, to the ripe and almost black. I grew up in Mexico City eating different versions of plantain, but always ripe. In other regions of Mexico, such as the Gulf Coast they are also eaten unripe, but always cooked. Plantains can be steamed, grilled, baked or fried. They can move from being part of an appetizer, drink or soup to a side and a dessert, depending on how they are cooked and what they are accompanied with. They are also used to thicken, add texture and flavor to some sauces, moles and stews. That all sounds super yum. Thank you for sharing Elvira. Oh I’m glad to hear that Karen. Thank you. My mother used to include them in her “Cocido de carne de res” which was a beef soup with lots of vegetables. I love your show and cannot wait to try your wonderful receipes. If I need any tips may I contact you via e-mail? If so, that would be great. I’m having a difficult time locating your show on WLIW21 create. What day/time are you on? On one of your recent shows you made a cake using plantains but I cannot find the recipe on your website.